So the main part of our holiday was spent on the Sandaya site Les Peneyrals near Sarlat in the Dordogne region. What a fantastic site. We booked it because it looked great for kids and we weren’t wrong, the facilities are fab. It has 4 pools and 1 wet area for kids. The pools are different temperatures so you can pick your pool depending on the outside temperature. There is a warm and covered indoor pool which is ideal in the rain. Sadly the week we were there the weather was unseasonably wet so we did spend a lot of time in the indoor pool. When the weather was nice though the outdoor kids pool has lots to keep little ones entertained from slides to water jets and even a big tipping bucket for those brave enough to stand underneath! There is a great kids play area with equipment for toddlers right up to teens with even an adult exercise area. Petang can be played as well as badminton / volleyball and the crazy golf course is superb. There is a kids club with activities every day, however kids have to be 5+ so our little one was too young. We did find the site surprisingly quiet at the start of June but this meant we could have the pick of the sun loungers. But it did mean the evenings were very quiet in the bar. The bath facilities are reasonable with a baby bath with a shower over and large counter in the main toilet block. And, rejoice, a plug!! One thing to be wary of is the steep incline of the site which isn’t clear on the site map. The pitches near the facilities and bar are fine but those further away would take some skill to get a Caravan or motorhome on. Another negative for us was the cost of the washing machine facilities. At €8.40 for one wash and 30 minute tumble dry we felt this was a bit steep. Especially as the washing machines only took a small load. With 2 small children we would have struggled if we hadn’t brought lots of clothes! There is a small shop and snack bar serving breads, sandwiches, pastries and ice creams and the bar serves a good selection of food and pizzas that are reasonably priced. The children’s menu is a bit limited. What was nice was the mocktail menu. A vast selection of virgin cocktails which was ideal for a breastfeeding mother. All in all I was very impressed with the facilities on this site. The staff were very helpful and friendly. I would certainly recommend it for a family trip! Our second stop was a rather plush 5 star site called les Alicourts set in acres of woodland on the longest straightest roman road I have ever seen. The cornfields with their vibrant poppies and cornflowers on the approach were beautiful. But nothing could prepare me for the perfection of this site. This really is glamping at its finest. Incredible pool facilities, spa, loads of play areas this place earns its 5 stars. But it comes with a 5 star price tag. €39 for an overnight is a bit steep especially as we didn’t really get chance to enjoy the facilities. However, we were so impressed with this site we decided to stay for 3 nights on the way home instead of just 1. We would also be tempted to return next year for a longer stay. The aqua park is fab for kids and adults alike with 3 separate pools, a wave machine some tame slides and 2 brilliant adult slides! The kids pool was also incredible with a huge model of a pirate ship surrounded by cannons, sharks and a treasure chest spraying water, as well as 3 slides all in about a foot of water. Our toddler really didn’t want to leave. … A skate park, and a tennis court. You can hire buggies and bikes to explore the site. But again this is quite expensive. My husband rented a 4 person buggy and it was €20 for an hour! There is a sensory / soft play room for toddlers and a kids club for older ones. There is a lovely fishing / swimming lake with real sand for the kids to play on. If you can find someone to watch the kids there is a spa with various treatments. It is €14 to use the spa and treatments start from €35. I managed to get a couple of hours to enjoy the hydrotherapy pools, sauna and steam room – very relaxing! The toilet block and facilities we were pitched next to were immaculate. In the ladies there are 3 hairdryers for you to use and plenty of toilets, showers and sink cubicles. Outside is a large washing up area complete with herb garden. The baby facilities are also really impressive with a separate block dedicated to babies and toddlers. The only thing I would say is the basins are set quite far back and are quite deep to bend over and bath a newborn. They also have the same problem I have banged on about before, no plug, and what baby do you know that likes showers? Take a plug or cloth to stop the water and use a plastic cup! The laundrette facilities are again super expensive. At €6 for a 45 min wash and €2 for a 12 min dry I don’t know why it is so expensive?! Also the machines are so tiny so if you think you can just shove it all into one machine, at 6kg max you will definitely struggle. Food wise there are 2 restaurants and a takeaway which serve the usual pasta, pizza, salads and chips. There is a well stocked shop which sells fresh breads and croissants in the morning. There is a well stocked bar by the pools and a small snack shack which opens in the height of summer. It really is a site you should stay for longer than one night but if you are just stopping over for one night, why not do it in style! I write this blog slightly bleary eyed from lack of sleep but having had a great time in Chester. Due to a combination of us having recently ditched the dummies and her not being used to sleeping in the motorhome, our toddler didn’t sleep much. Baby on the other hand was a star! We stayed on the Chester Fairoaks Caravan and Motorhome site. The toilets are very clean and the baby facilities are excellent. They had the radio playing in there so we had a little party at bath time each night! When you are hungry there is a pub 2 minutes walk down the road called The Rake. It is a Hungry Horse chain. The food is average but they have indoor and outdoor play for the kids and a reasonable kids menu to keep your little ones fed and entertained. There is also a local chippy van that comes to the site on a Monday and Thursday between 5 and 7pm. 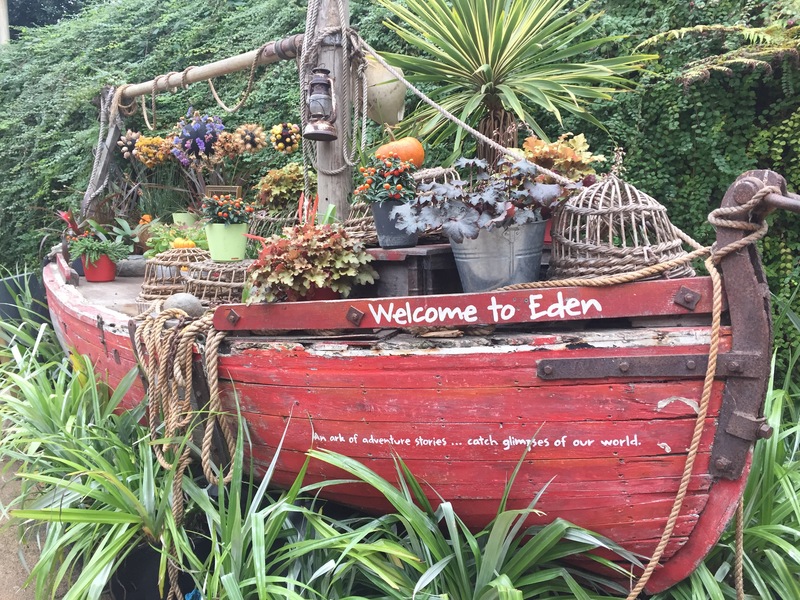 Locally there is plenty to do from Chester Zoo to the Blue Planet Aquarium as well as Chester city centre right on the doorstep. It is around a ten minute walk to the aquarium from the site but you do have to walk down a country lane and cross a busy duel carriageway. From the aquarium you can get a bus to Chester city centre or the zoo. Around £4 per adult. Alternatively you can use taxis which cost around £11 into Chester and £7 to the zoo. We went to the zoo which was a great family day out! Booking online offers great savings. Online quoted £40 and we paid £52 on the door for 2 adults as under 3 are free! It was worth it though, we spent most of the day there and saw most of the animals we wanted to see (animals don’t always want to come out especially when it’s cold and wet). To minimise costs you can take your own food and eat it at one of the many picnic areas. The food on site isn’t unreasonable however, but it does get busy at lunchtime. Take your walking boots, we walked 4 miles in the day! Also take a pushchair for little legs, although they do hire buggies if you can’t. I would give this site and Chester a 5 out of 5. Well worth a visit. Author themotorhomefamilyPosted on April 4, 2018 April 4, 2018 Leave a comment on And then there were 4! Following a brief stop at the NEC for the motorhome and caravan show we headed down to Cornwall for a short family holiday. Unfortunately the bump is playing havoc with my immune system and storm Brian was intent on ruining our trip. There was no chance of erecting the new awning that we recently purchased in 30 mph winds! 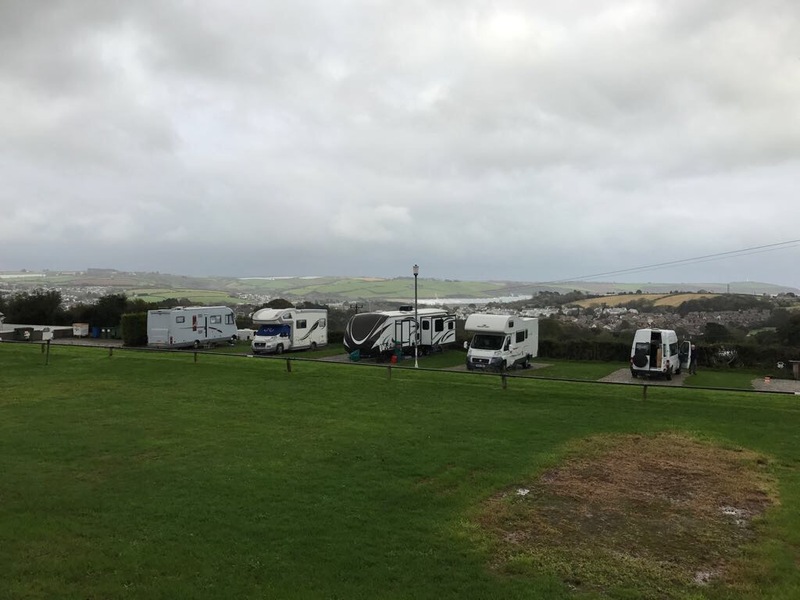 We found a great private site, Doubletrees Camping, St Austel in Cornwall. 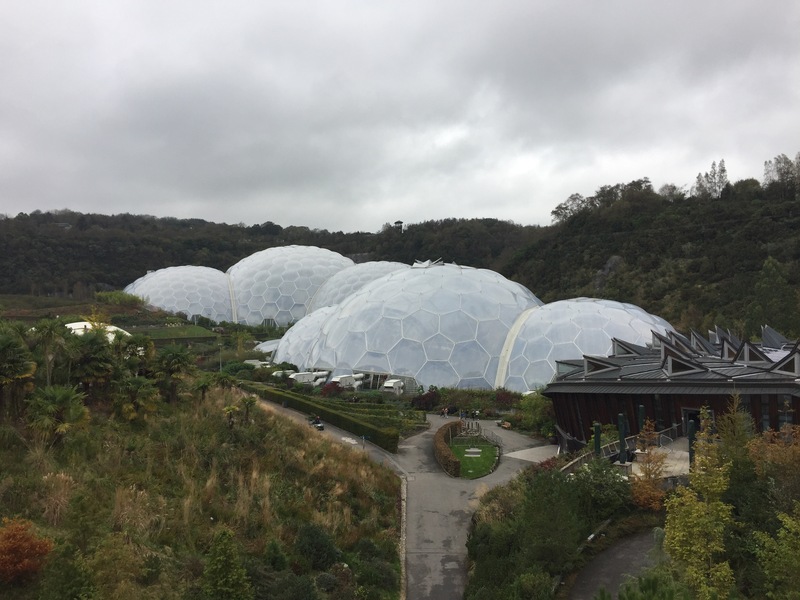 With spectacular views of the sea we were also within 2 miles walk of the Eden Project which was the main reason for the visit. However, the exposure was the downfall with the site as when the winds picked up we were buffeted from every direction! Amazingly our daughter slept through it but we had a very sleepless night and bailed out the following day cutting the journey short. 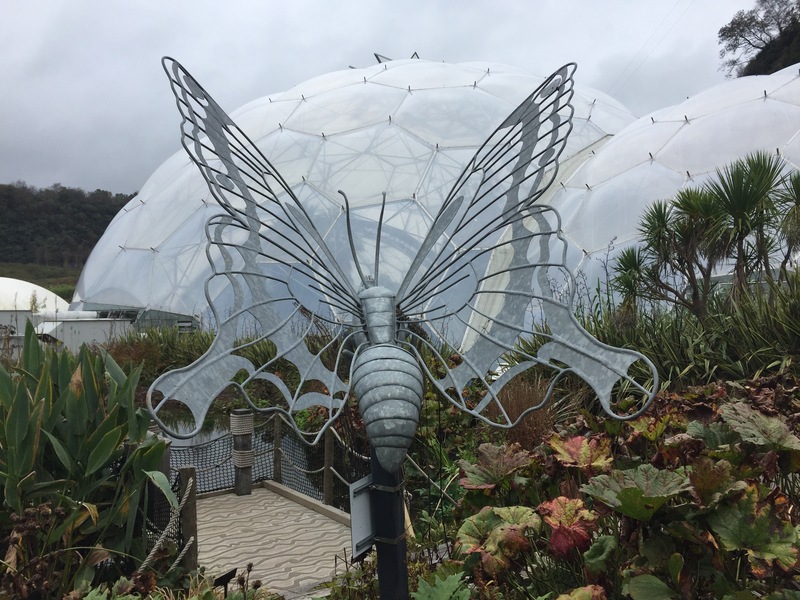 We did, however, make it to the Eden Project which was superb and I would thoroughly recommend! Having only purchased the rig in May this is the first ‘bad weather’ we have really experienced. I don’t want to say that we will be fairweather motorhomers but perhaps next time we need to be more mindful of our choice of site and ensure we have some good shelter. All lessons learnt. Author themotorhomefamilyPosted on October 26, 2017 Leave a comment on Cornwall, a complete blowout!